Our alumni are driving pharmacy forward. When they’re not on the frontlines caring for patients, leading legislative and advocacy bodies, or advising governments on policy, many of them are mentoring our current students. Our alumni’s contributions to the pharmacy profession improve the wellbeing of scores of people—locally and around the world. Be sure to keep your contact information up-to-date so you stay informed about exclusive alumni events and other exciting opportunities at Dalhousie and the College of Pharmacy. Stay current by connecting with other alumni on our Facebook page or LinkedIn group. We make it easy to stay in touch. Contact us with any questions regarding your contact preferences, address changes or any other inquiries. 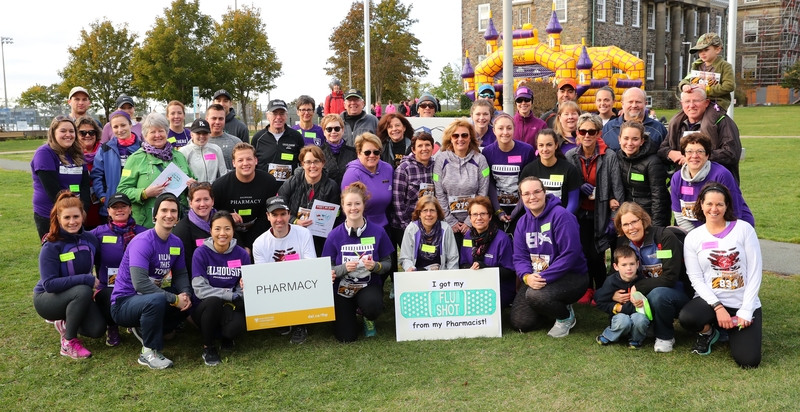 Over 30 alumni and friends of the College of Pharmacy came out for President's Fun Run, one of the many events during Homecoming 2016.